So, when it comes to investing, how do you know an area is right for you? Do you know what to look for when making the decision of where to invest? This simply means understanding your Individual Investor Identity… or who you are as an investor and what you’re most interested in. How close do you need to be to the property? For me when I was first doing deals inside real estate, I was comfortable in investing in other states. So the property didn’t need to be in my own back yard; rather I needed it to be a certain type of property. I was also okay in managing risk, so when looking at properties I wasn’t blind to the risks. Risk is actually what creates opportunities anyway. I bought apartment buildings in Memphis in C-class neighborhoods. Today my Investor Identity is changing and I’m investing in properties in California. But it doesn’t have to be in California. It can be anywhere if I have the systems and teams in place, and they match my identity. There is no one who can tell you what you like is right or wrong; it’s just your Investor Identity. It is just your business decision. Specifically, it’s more the features, benefits and amenities you find in different areas, such as weather patterns, beaches, mountains, historical tourism, etc. When you’re looking at different areas that fit your Investor Identity, you want to consider the above geographical facts about them as well as the types of natural disasters that can happen in those areas. For example, maybe you can handle earthquakes but not hurricane seasons. You can handle big thunderstorms and snow, but you don’t like earthquakes. Every geographic area has its potential natural disasters. Which ones can you live with? A while back I did a fun little video about a strange location that, yes, you can in theory invest in… maybe not right now, but soon enough. It’s the moon! You also have to take a look at the workforce that is in the areas you think you want to invest in. I promise the workforce isn’t the same all over! If you need high-end construction materials you’ll need contractors who know how to work with them. These individuals aren’t in every market. Conversely, if you need contractors who are accustomed to dealing with lower-budget materials, well, you won’t find those guys in every market either. As you can see, you’re going to have to do your homework. Who will be collecting rents, handling issues in your property, answering phone calls about the property and so forth? For me, I’m going to use a property manager. If the profitability of a property won’t support a property manager, I’m going to pass on that property. This is another topic I talk about a lot, because it is THAT important. While you may start out doing everything, you won’t always. In fact, you won’t want to. Over time you’ll build a team or teams. Besides, if you aren’t close in proximity to the property, well, you’re going to have to use a property manager or management company as well as other team members. You will weigh your options and do the numbers. How do you plan to finance your deals? Will you use other people’s money that can come from lots of sources, including savings and checking accounts, retirement accounts, cash they’ve been stuffing under their bed or other places they have funds? You may wonder how on earth you can raise private capital from these “other people,” and that’s really not such a mystery. In fact, it takes great listening skills. What do I mean? Will you fund deals yourself? If so, you better get your credit score in tip-top shape. And be prepared for the bank to only allow you so many loans. If you have money in savings or under your own bed, figure out how much you’ll need to do the types of deals you want to do. 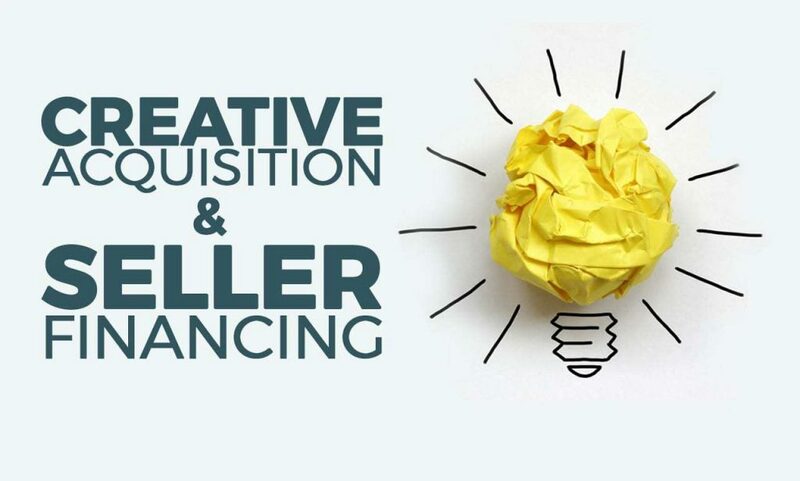 It would help you a lot to understand creative acquisition strategies and creative financing strategies. They really are 2 different things. If you don’t know the strategies and how to use them and, more importantly, when to use them, you’re in luck. I actually did a live training event on this very topic… and now it’s a course. Whom do you want to serve? In my world, I do a lot of training events. Inside all our Cash Flow Diary education I talk about knowing your Investor Identity. Part of that is knowing the demographic you want to serve. To keep it easy to understand, I always ask people whom they’d rather serve… whom would they rather rent their properties to… and instead of asking them to specify “A,” “B” or “C” class, I ask if it would be “Nordstrom,” “Target” or “Walmart” types? You have to know the differences between these types of tenants. Let’s say you tell me that you want to serve the Nordstrom type. Okay… That means you are willing to take calls from tenants telling you that their garage door won’t open. So you go out to the property or you send your manager out to the property to check it out. What you find is that the batteries in the remote need to be changed. And, yes, you will change the batteries out with a smile on your face. If a tenant in your Walmart property calls you telling you there’s a problem with the garage door, you will go out or send someone out to take a look. What you’re going to find there isn’t just batteries. It’s that the door has been broken in half, it’s hanging off the tracks or it’s gone entirely because somebody stole it. In identifying who you are as an investor and the areas in which you really want to invest, you’re going to do a whole lot of research beforehand. And you’re going to figure out which type of tenant best matches your identity. Once you determine the answers to these top 5 criteria you will be well on your way to taking down your first deal… or 10th, according to how many deals you’ve already done. Maybe you hadn’t ever thought of these things before and I’ve opened up all-new possibilities for you. That’s exactly why I write and share these articles. CFD 298 [REPLAY 100] – Laptop Entrepreneur Mark Anastasi Shares How He Went from Homeless to Creating Massive Cashflow!